In construction, you have to have confidence in the materials used. Thermowood Plastic Composite (TWPC) is the most stable on the market due to its unique content. It holds its own against changes in temperature better than any other composite material on the market. This makes it an outstanding choice for decks and gardens in both private and public spaces. More high-quality Thermowood fibers than in Thermowood itself. 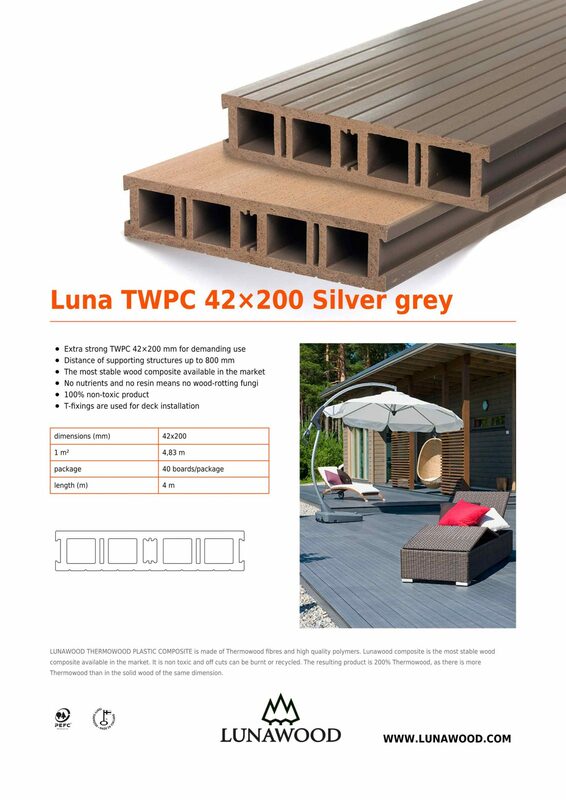 Due to its unique composition, TWPC is durable and most stable wood composite decking available in the market. 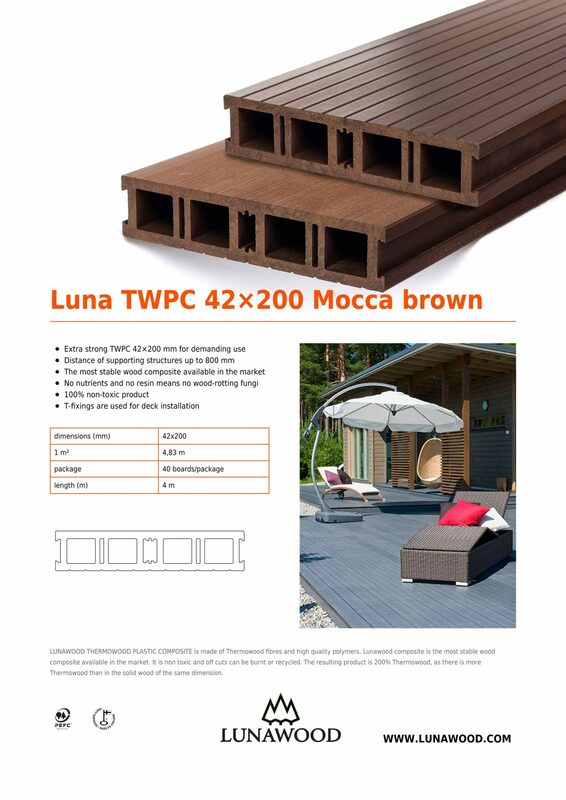 TWPC contains Thermowood fibers that are more stable than unmodified timber. In the manufacturing process, heat modified wood fibers are compressed and blended with high-quality recyclates. The resulting product is 200 % Thermowood as there is more Thermowood in TWPC than in the solid wood of the same dimension! The density of TWPC is about triple compared to the density of Nordic pine. 2/3 of TWPC are Thermowood fibers and 1/5 high-quality CIRCO®-recyclate. TWPC is eco-friendly as the Thermowood fibers used are a recycled by-product of Thermowood production. 85% of the product is manufactured of recycled materials. TWPC is PVC-free, non-toxic and off cuts can be burnt or recycled.